These gifts for people who travel range from practical to sentimental, but focus mainly on practical. Finding the right gift for your traveling friends or family members depends on where they’re going, how long they’ll be away, and how they feel about the trip. A travel journal. The Valery® Vintage String Classic Leather Blank Notebook pictured is a beautiful gift for people who travel – and who enjoy writing about their experiences. I received a travel diary as a gift before I moved to Africa for three years, and it was the most thoughtful idea! This diary is a retro notebook, Mediterranean style. The beauty of this travel gift is that it’s both lovely and flexible. That is, your traveler might use it for the current trip or save it for a future vacation. People who travel often like to keep some sort of record of their journeys and adventures, and appreciate gifts that aren’t necessarily digital. Digital camera. Despite the fact that I just said that a good gift for people who travel isn’t necessarily electronic, a Sony W800/B 20 MP Digital Camera might be just what your traveler needs. A digital camera is superior to a cell phone camera for recording travel memories, and this particular model is the number one bestselling point and click digital camera on Amazon. Solar charger. Your traveler probably has an adapter to use in different countries, but does she have a solar charger for her phone or camera? The Poweradd™ Apollo Solar Portable Charger has a backup external battery pack for devices such as the iPhone’s 5S 5C 5 4S, iPods, iPad Mini Retina, Samsung Galaxy Note 3 2, Galaxy’s S5 S4 S3, Android Smartphones, and more. It has a compact solar panel that can recharge the Apollo itself under sunshine for emergency purpose while outside, or simply keep the Apollo from losing juice (self-consuming). It can easily hang on a bagpack with the included hook, and has a long lifespan with more than 500 recharging times. If you’re looking for a gift for someone who likes to travel who is also a writer, read 14 Best Gifts for Writers. Travel bottles. The Humangear GoToob Travel Bottle is a great example of a practical gift for people who travel. Instead of packing big bottles of shampoo, hair gel, etc, they would fill up these portable travel bottles. There’s even an “ID ring” for identifying the contents of the bottles – a must for anyone who has tried to discern the difference between shampoo and hair gel! If your traveler is going to Africa, read my article describing Things You Need to Know Before Moving to Africa. Part of that article is a list of things people when they’re traveling to African countries, from Zimbabwe to Angola. Air miles. If you’re not planning a vacation for a few years, can you spare your air miles? This is an interesting gift for people who love to travel – especially if you’re hoping your traveler comes to your home for a visit in the future. Help overcoming jet lag. Lewis N. Clark’s No-Jet-Lag Homeopathic Flight Fatigue Remedy helps corrects disruptions to the body’s clock rhythm and alleviates stress to the body while traveling. It contains arnica montana (leopard’s bane)-30C, bellis perennis (daisy)-30C, chamomilla (wild chamomile)-30C, lpecacuanha (lpecac)-30C and lycopodium (clubmoss)-30C. The 32 tablets in the package are enough for 40 hours of flight time. Travel yoga exercises. I love yoga and do a 10 minute segment of one of my yoga DVDs almost every day. Yet whenever I travel, I can never seem to remember the yoga moves or combinations of the best stretches! If your traveler does yoga, then a gift idea might be a yoga mat, yoga socks, or even a yoga DVD. Soft-yet-supportive head pillows. The Samsonite Luggage Travel Gift Set is a practical, thoughtful gift for people visiting Vancouver. The eye mask and ear plugs help decrease ambient light and sound in both the airplane and at the hotel. An ergonomically designed inflatable pillow provides proper support relieving tension and strain in neck and shoulders, and the travel pouch makes it easy to carry everything around. A momento – such as a lovely heart pendant or locket – from home. The Sterling Silver “You Hold My Heart Forever” Heart Pendant Necklace is a beautiful gift for people who travel, because it means they always carry a piece of your heart with them. It’s a sentimental travel gift that isn’t too mushy or sad, and will express how much you love and miss your traveler when she’s off exploring the world. 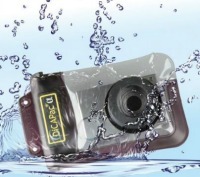 Digital waterproof camera case. Don’t forget about your tourist’s cameras, iPhones, and iPads! Another good gift for people who travel is a waterproof digital camera case. Leak proof travel mug. Whenever I travel – whether I’m driving from Vancouver, British Columbia to Saskatoon, Saskatchewan, going on safari in Africa, or lounging by the pool on an all-inclusive resort in Costa Rica, I always take a travel mug. The Thermos Stainless King of Travel Tumbler is leak-proof, and will keep your traveler’s cold drinks cold and hot drinks hot. If your traveler is going on an all-inclusive resort vacation, read 10 Tips for Booking an All-Inclusive. That article includes some gifts for people who travelling to hot destinations. The gift of food. 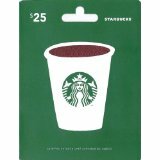 A Starbucks Gift Card will come in handy at the airport, during the day wandering around Vancouver, and again at the airport before the flight home. If your traveler is going to Canada, consider getting a Tim Horton’s gift card. Timmy’s coffee is better than Starbucks, according to the majority of Canadians! “No one realizes how beautiful it is to travel until he comes home and rests his head on his old, familiar pillow.” ~ Lin Yutang. If you don’t know how to wrap your travel gift, read How to Wrap Awkward Gifts. What do you think – what are the best gift ideas for people who travel?